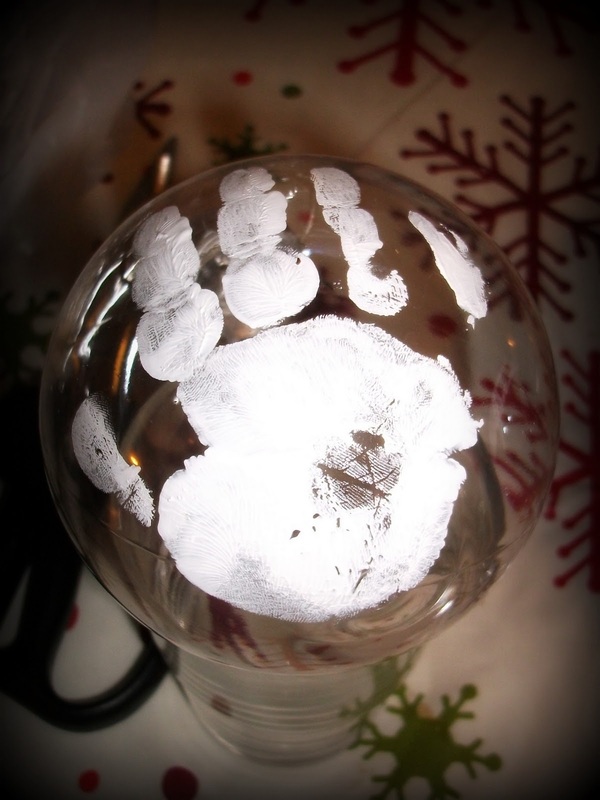 Place a small amount of white paint on a paper plate and place child’s hand in paint. Move hand around a bit to make sure I is well covered. If hand has a lot of paint you may want to blot some off with a paper towel. 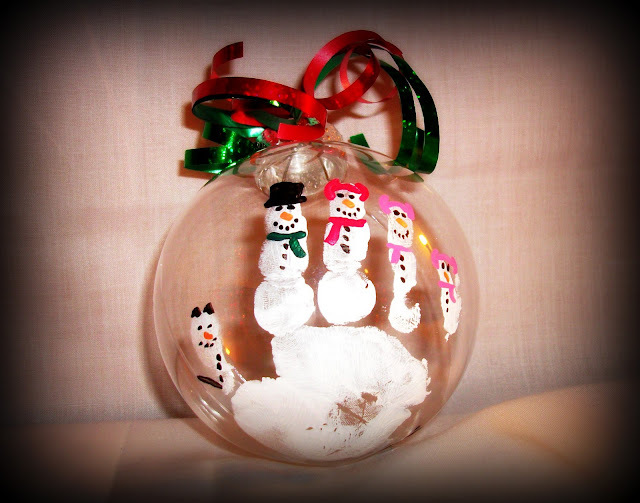 Place hand on ornament with fingers spread just a little. Allow to dry. 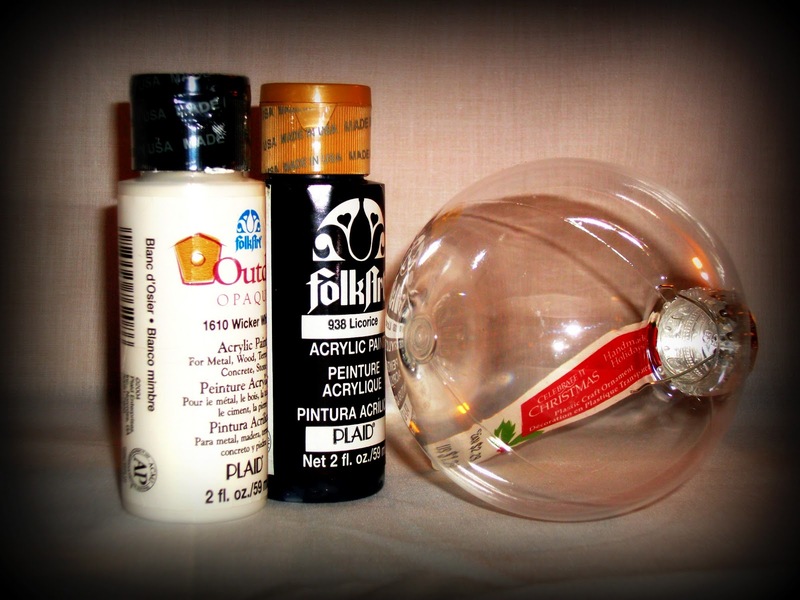 Once dry you can add your accent paints if you would like. We have one guy and 3 girls in my little family so I did green, red and pink paint to spruce it up a bit. I added a top hat, scarves, and ear warmers to my snowmen. Allow to dry. That’s it! I LOVE doing these with my children each year. It is amazing just how much their hand grows in a year. 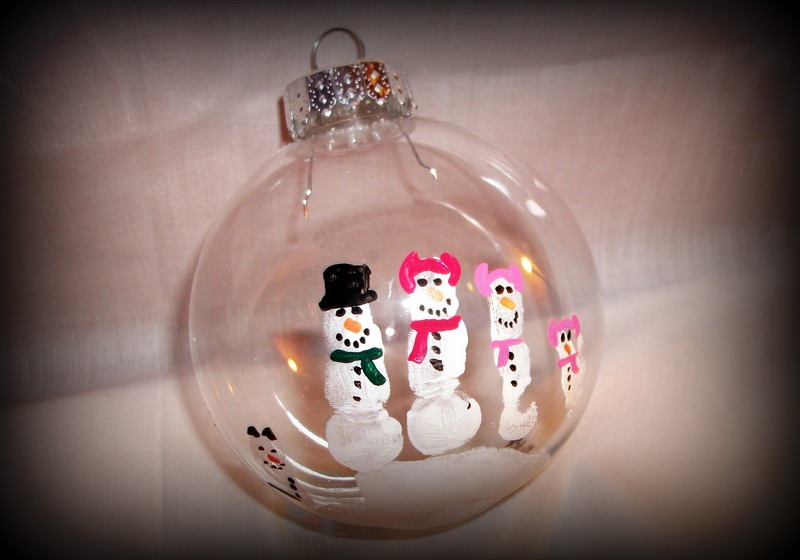 I also like to put the year and child’s initials on the ornament. *These make GREAT gifts for Grandparents AND teachers!